Makeup Revolution Iconic Blush, Bronze & Brighten - Flush: If you read from on my January Favorite, I mention about this blush and contour palette as well but in code Smoulder but this time I'm in love with Flush! OMG!!! I love it. TheBronze color may be a little bit light from bronze that I usually wear but still I can contour my cheek belndable with the color but the Blush and Highlight was A-M-A-Z-I-N-G !!! Da Bombbbb gitewww. I bring this along during travel and I even use this as my eyeshadow too. Heee.. Save space during travel. Luminous Liquid Eyeliner - Black: I'm impressed with the formulation of this eyeliner. I used it frequently last month and I keep on grab for this eyeliner plus the packaging is easy for me to identify that it. Luminous is a local brand and I think they have quite interesting products in Market. I will update more details about this Luminous brand soon. Planing for a makeup video as well. Hehee..
Clio Mascara Salon De Cara - Black: Started using this mascara because I wanted to try new mascara and I saw this mascara on my drawer. I was like. let's juat give it a try. I'm actually quite loving it. It does help for lengthening parts. Plus if you can see the packaging is small because I got the one for travelling size and it is easy to bring along. Too Faced Peach Eyeshadow Palette: Check out the beautiful colors. I used the peach color a lot! Sometimes I just used the peach color alone without mix with any color. Pretty nice. Well, I like this eyeshadow but a few color not really my style. Heee. Let me know if you want more review about this! MAC Lipstick - Diva & Pink Pigeon: I used this 2 lipstick quite often last month, Whenever I have no idea what lipstick to wear I'll choose either of this 2 lipstick and it is depends on the occasion as well. At night I normally will go for dive and pink pigeon on day time. 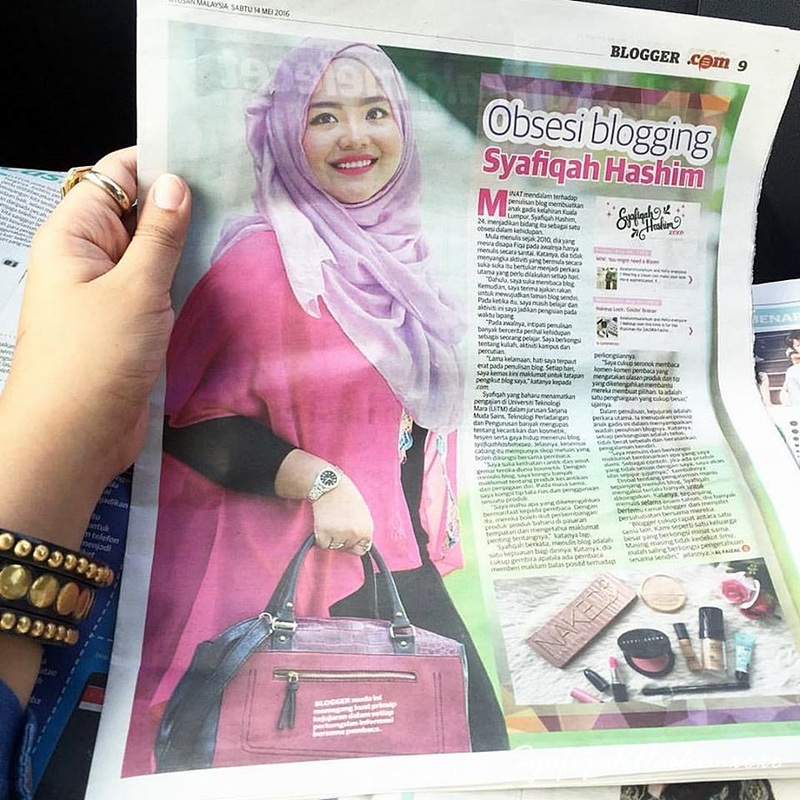 When I have photoshoot I also prefer to used MAC Pink Pigeon as it give a sweet-kinda-look on makeup.While MAC Diva is more fierce yet wearable especially for night time. Luminous Lip Balm: It is an organic lipbalm where the ingredients in this lipbalm consist of natural ingredients. I really like this lipbalm because it does moisturize my lips and it also has like cool-mint effect to it. I normally apply this before apply any lipstick. Naturals Aloe Vera: I used this as my night-time routine. Yes, I love aloe vera and last month and until now I'm still using this aloe vera, We all know the benefits of aloe vera right where it helps to soothen and moisturize your skin. Even-tho my skin is oily-combination type I still feels that my skin need more hydration. Clinelle HOT Body Shaper Cream: I used this quite frequent last month where I've also review about this. It is hot but it does not hurt your skin surface. Cool right! It is preferable to used before you're doing an exercise. I also used this before I go to bed. Go check out more details HERE. 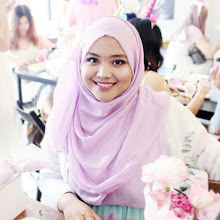 Sunsilk Hijab Recharge - Refresh: To be honest with you guys, I don't really like previous Sunsilk shampoo. I know this brand is popular in market where it is easily to get and recently Sunsilk come out the shampoo that suitable for hijabers and I'm not really into it yet until I give it a try! OMG! I'm quite impressed with the formulation because you'll feel fresh when you wash your hair. It also have that kinda cooling effect on your scalp and it smell quite nice too! Thinking of doing the full review soon. There you gooo! I've list all my April's pick. I hope this helps and you like it. So, what's your pick? echa pun guna shampoo sunsilk too. bau dia sedappp and fresh je guna lepas mandi! kan kann.. surprisingly kan result dia. Not bad la jugak..